If you're just beginning your search for the perfect wedding band, you may be surprised by how many options are available. Wedding bands come in countless shapes and styles. If you're shopping for wedding bands decorated with stones, consider prong wedding band styles. The prong setting uses small metal tines to secure stones, which increases the number of angles from which the light hits the stone. 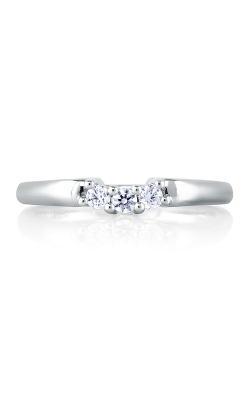 Prong settings result in dazzling gem configurations, which is why they're a common feature on many wedding bands. 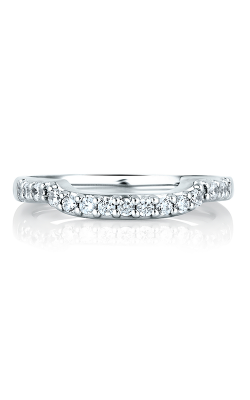 For luminous wedding bands, take a look at BENARI JEWELERS' selection of prong wedding band styles. We have prong wedding bands from many premier jewelry designers, including Hearts on Fire, ArtCarved, Simon G, and Tacori. Hearts on Fire is known for their visibly perfect diamonds, and this is on full display in their prong wedding band styles. While the bands vary in shape, ranging from simple circles to intricate twists, they're all embellished with rows of dazzling diamonds. For handcrafted, timeless wedding bands, check out ArtCarved rings. The brand has been creating stunning rings for over 100 years, and their current collections like Contemporary and Classic offer prong wedding bands in modern and vintage aesthetics. Prong settings are extremely secure, but Simon G designs take this security one step further. 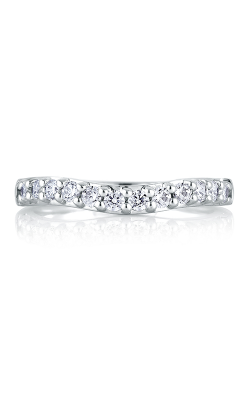 Instead of using a two-prong construction, each Simon G prong wedding band secures diamonds with four individual prongs. These bands aren't just finely crafted, however, they're also beautiful. In Simon G collections like Modern Enchantment and Nocturnal Sophistication, couples will find elegant, intricate designs made to reflect passion and timelessness. 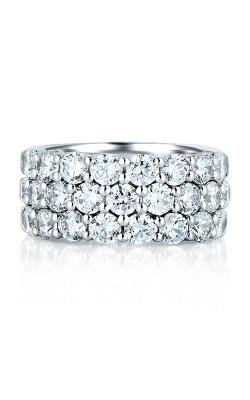 Tacori wedding bands are also a popular choice for modern couples. Many of these bands feature the brand's signature element — interlocking half-moons — as well as rows of pronged diamonds. The brand's conflict-free rings are distinguished by their unique, lace-like details and vintage-inspired style, found in collections like RoyalT and Simply Tacori. 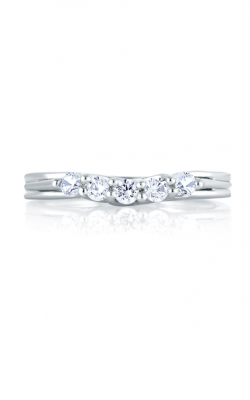 Why Shop for Prong Wedding Bands at BENARI JEWELERS? BENARI JEWELERS has helped countless couples in Exton and Newtown Square, PA choose wedding bands that reflect their relationship. Because we're home to one of the largest collections of high-quality wedding bands in the area, engaged couples from all over — from Philadelphia to Malvern to King of Prussia — flock to our store. Our customers also appreciate our dedication to excellent service. That's why we provide a comprehensive shopping experience, and offer polishing, repairs, resizing, and cleaning. If you need the perfect wedding jewelry, contact us soon to learn more about our wedding ring selection!